In 2007, Nature Complete Spirulina was the first that the Soil Association ever certified. Nature Complete was the first UK company given Organic Import Authorisation by the Department for Environment, Food and Rural Affairs (Defra) to import Certified Organic Spirulina. Nature Complete Spirulina is organically grown, without the use of conventional pesticides, fertilizers or sewage sludge, and are processed without ionizing radiation, no binders, fillers or additives. It is registered with the Vegan Society. The entire Nature Complete range is 100% natural, certified organic and produced at a certified manufacturer that meets the standards of Good Manufacturing Practice (GMP), International Organization for Standardization 9001:2000, Halal Product, Star-K Kosher, and Quality System. Nature Complete's pure certified organic Spirulina is carefully produced and adapted especially for children -the smaller, 250mg tablets, are easier for young bodies to swallow and absorb. It is also available in a powder form, and tasty when mixed with juice. Free from gluten, binders, fillers, GM, preservatives or any additives,Free from binders or fillers, preservatives or any additives. Pleasant light seaweed taste. Delicious to mix with fruit juice, smoothies or other healthy drinks. WHY CERTIFIED ORGANIC SPIRULINA FOR CHILDREN? Free from gluten, binders, fillers, GM, preservatives or any additives. Good Manufacturing Practice (GMP), International Organization for Standardization 9001:2000, Halal Product, Star-K Kosher, and Quality System. Delicious to mix with fruit juice, smoothies or other healthy drinks. Taken all at once or 2--3 times throughout the day. EU RDA: EU Recommended Daily Allowance. CARING CAUTION: As with any other dietary supplement, consult your physician before using this or any product if your child has a medical condition or your child is taking medication. Keep out of reach of children. Spirulina is a microscopic blue-green alga, used all over the world as a popular natural food supplement. It flourishes in warm climates and alkaline water lakes, most notably in Chad, China, East Africa and South America. Although Spirulina has a long history – algae were the first life form to exist on the earth 3.5 billion years ago and it was first discovered in Chad in the 9th Century – it only became commercially available at the beginning of the 1970s. It is currently growing in popularity in the West despite having been used for decades elsewhere in the world. The benefits of Spirulina have now been recognised by NASA (National Aeronautics and Space Administration) and the European Space Agency; they have both selected it as one of the primary foods to be cultivated during long-term space missions. Do you feel like your fuel tank is running on empty, that your energy reserves are always surprisingly low? Spirulina can help give you an energy boost. Do you eat your five a day? We all know that fruit and vegetables help maintain a healthier lifestyle, but the British Nutrition Foundation’s 2004 National Diet and Nutrition Survey showed that only 13% of men and 15% of women regularly eat the recommended five portions of fruit and vegetables each day. In fact, on average, most people eat less than three per day. Spirulina is the ideal supplement if you struggle to get enough fruit and vegetables into your daily diet. Considered to be the most concentrated plant food in existence, Spirulina is a natural whole food that can help maintain a balanced diet, especially for people who do not eat enough fruit and vegetables, perhaps due to their hectic lifestyle. There is no fruit, vegetable or meat that can provide a complete protein to meet the nutritional needs of the human body, but Spirulina is 60-70% complete protein that is 95% digestible. 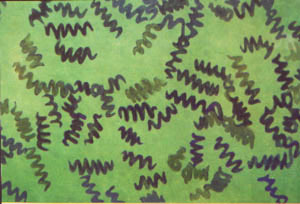 Unlike most other algae, its unique soft cell wall is made of complex sugars and protein, which makes its many rich nutrients highly digestible to the body. A whole plant source of gamma linolenic acid (GLA), beta-carotene and chlorophyll, it contains all the essential amino acids, including essential fatty acids.